After a looooong hiatus, I'm finally back! I have failed to update my blog for almost a year due to tons of school works. Anyway, thanks to the holiday break I finally got the time to catch up with my girlfriends, besties, and former classmates way back highschool. Surely missed hanging out with them! It's been quite a while. Of course, I will never let my holiday break pass by without getting to bond with these two! These two have been my blogger besties ever since! We have a circle of friendship (consisting of 8) but these two are the ones whom I can relate on in terms of fashion, blogging, and everything in between. And to suffice our sartorial & blogger needs (the what? 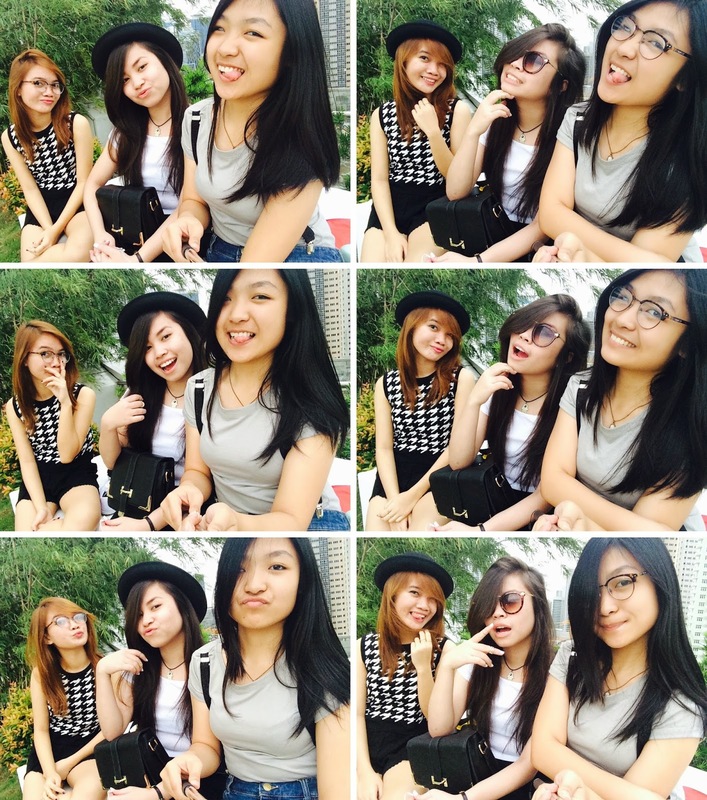 lol) we decided to bond-slash-shoot at Global City. We had some slight difficulties during this shoot because of some DSLR technical probs (which resulted to some crappy photos) but all in all, it was fun! After strolling around the streets of Global City we have decided to chill at Aura and eat. What I love about my clique is that we are fond of trying out different food stalls, shops, cafes, and the like. And so, we decided to eat first at Shine Bakery & Cafe. The place is good, the interior is nice and cute! And the food is delish too! Next on our list was The Royal Touch. For a cupcake / pastry / sweets lover like me, I must say, their cupcakes are the best! Totally! I had their salted caramel cheesecupcake and I was blown away by how it tasted. T'was perfect! even their red velvet cupcake is a must try! Tune in for my upcoming posts! And here's a "pa-cool" pose to end up my post. Ciao!